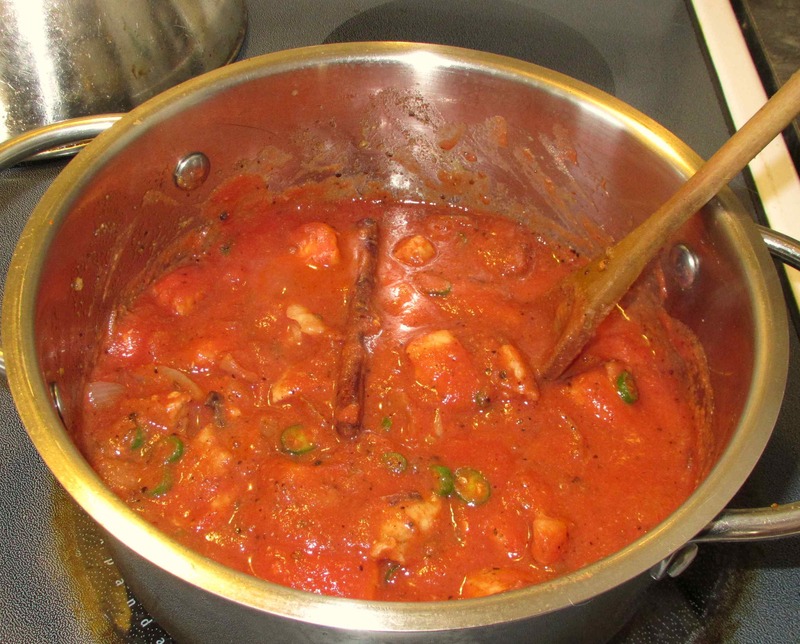 1 ½ cups thick tomato sauce. **Note: The maple syrup may seem like an odd ingredient here but Goan cookery makes frequent use of palm sugar and the syrup gives a good approximation of the flavor. As for the chili, you may wish to increase or decrease the amount called for depending on the heat of your chilies and your own tolerance. Rub the salt, pepper and Cayenne pepper into the meat cubes and then stir in the garlic puree, the maple syrup and the vinegar. Set aside to marinate for an hour or two or even overnight. 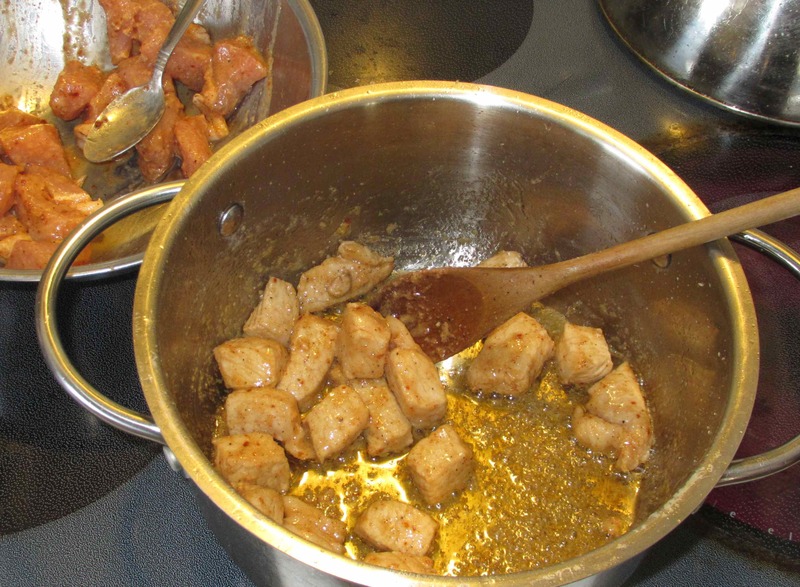 Heat 2 tablespoons of the butter in a pot over moderate heat and then brown the pork cubes in batches. 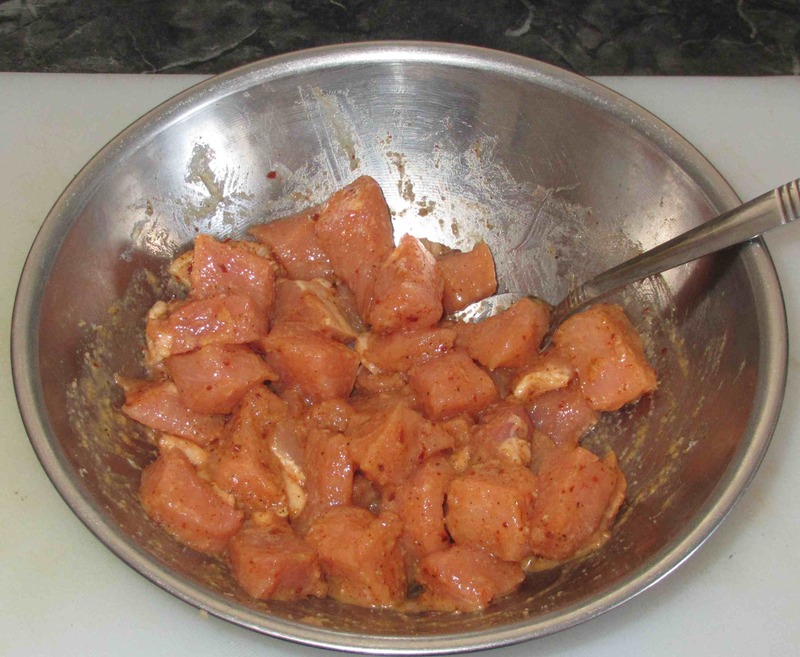 Remove the meat to a bowl as it becomes done and set aside for the time being. Dry roast the mustard, fenugreek and coriander seeds in a small pan and the grind to a powder. Now, heat the remaining butter in your pot and stir in the powdered spices. 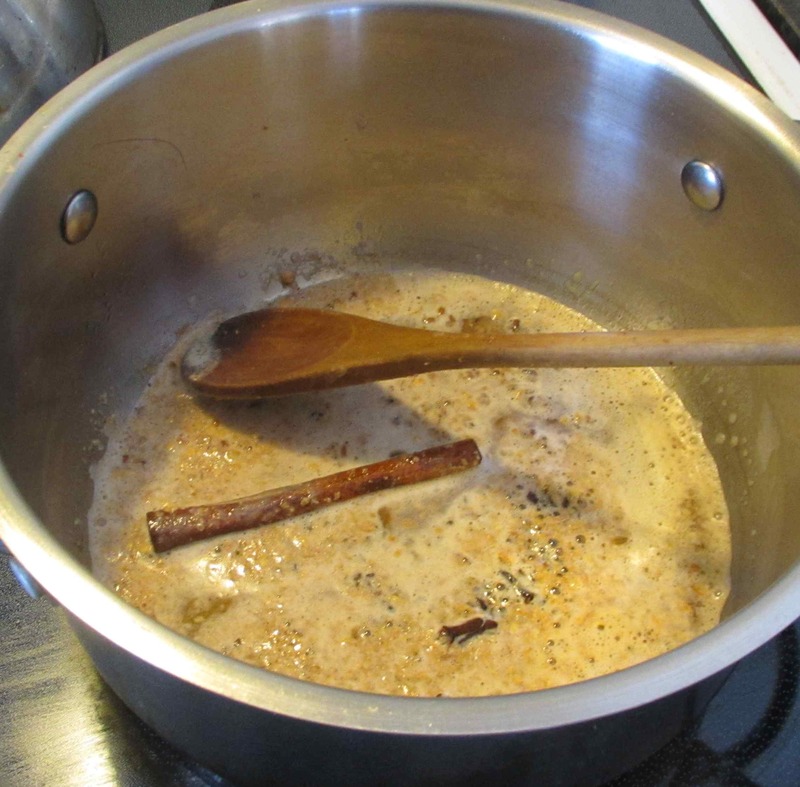 Add the cinnamon stick, cloves and cardamom seed and stir until the fragrance is released. Add the onions and then turn down the heat to low. 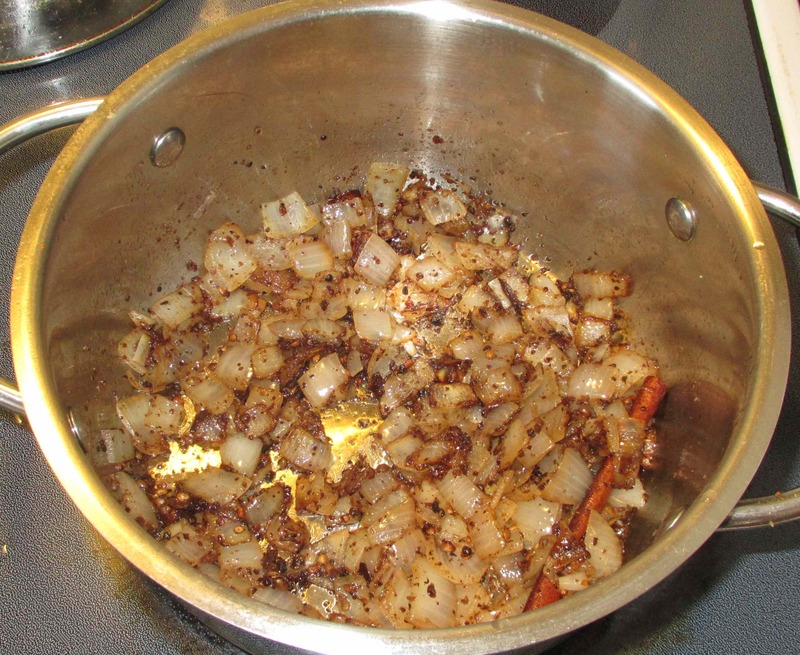 Cover the pot and continue to cook for 20 – 30 minutes until the onions are soft and beginning to get nicely browned. Finally, turn up the heat and add back the meat, the fresh chili and the tomato sauce. As soon as it comes to a low boil, turn the heat back down and simmer over low heat for about an hour until the meat is nicely tender. At this point, you can eat the curry right away but, if you can wait, it will be much better if you cool it and let it sit overnight in the fridge so that the flavors develop. Simply reheat slowly when you are ready to serve. I laughed when I saw the maple syrup in the ingredient list, but I definitely see your point about how it approximates the sweetness and flavor of palm sugar. How hot and spicy is this dish? I know vindaloo is usually really spicy, did you find this to be extremely spicy? It’s all relative, of course, depending on your heat tolerance, but, no… this isn’t especially spicy hot for *my* taste. Certainly not compared to many Vindaloso I have had, or made. This is a difficult question to answer actually… I remember being asked about my heat tolerance by an Indian client who had invited me for dinner with his wife many years ago. I said I was fine with hot food but the meal, although delicious, ended up being really quite mild. Afterwards, the guy told me that they often had guests who claimed to like spiciness but really didn’t know just how hot a HOT dish could be… accordingly, they automatically toned things down a bit for guests they didn’t know that well. I also have the same question. Very spicy? Hi … see my reply to Madam Weeble’s comment above yours. That looks positively divine, John! 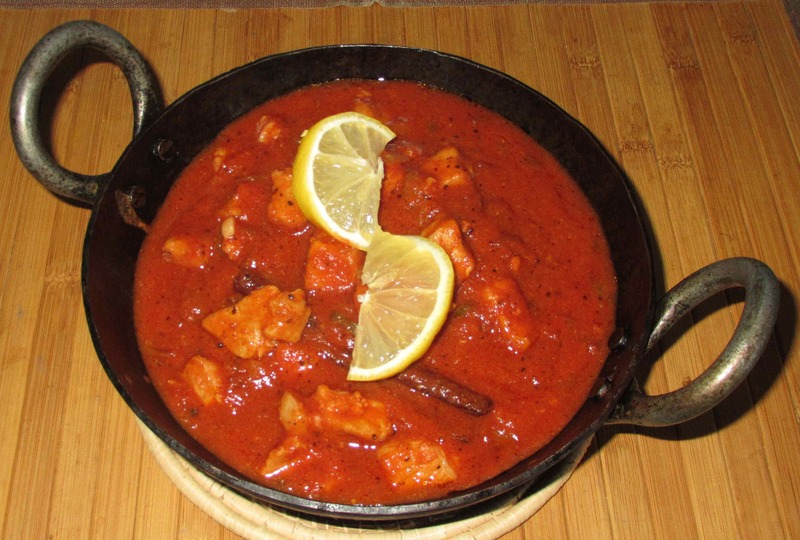 I love vindaloo and this preparation seems right up my alley. Is pork a meat commonly used in Goa? Actually, yes … it’s not widely used across the subcontinent because of the dietary restrictions of Muslims and Hindus, of course, but Goa was a Portuguese territory for a couple of centuries (right up until the 1960s or 70s, I believe). There are a few pork specialties, including a dish call ‘Sorpotel’ which is a bit like a regular pork vindaloo in that it contains vinegar, but it is made with offal such as liver, kidneys etc. That is such cool info. I completely forgot about the Portuguese influence in Goa. John, you should write a book if you haven’t already! It would be a tremendous reference full of amazing recipes!